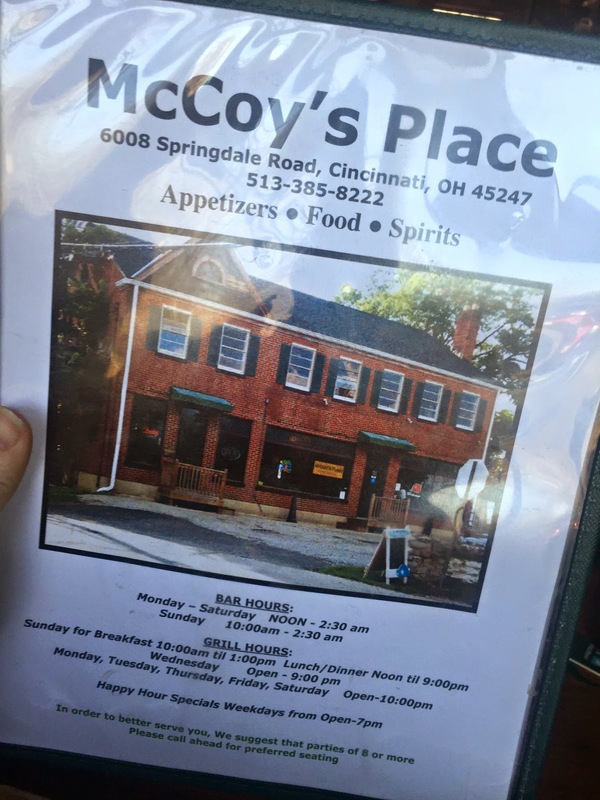 Restaurant Review: McCoy's Place - Colerain | The Food Hussy! Larry and I wanted to grab a bite for dinner and EVERYPLACE on Colerain was packed - so we headed off the main drag and up Springdale Rd to McCoy's Place. It's an Irish bar that also serves food. I have to say it's a very neighborhood friendly place - it felt like Cheers! Everybody knows everybody - people come in and everybody says hi - the local softball team made of firefighters and police officers comes in after their game - it's very storybook. They don't have a website or an online menu - so I'm going off of memory here. 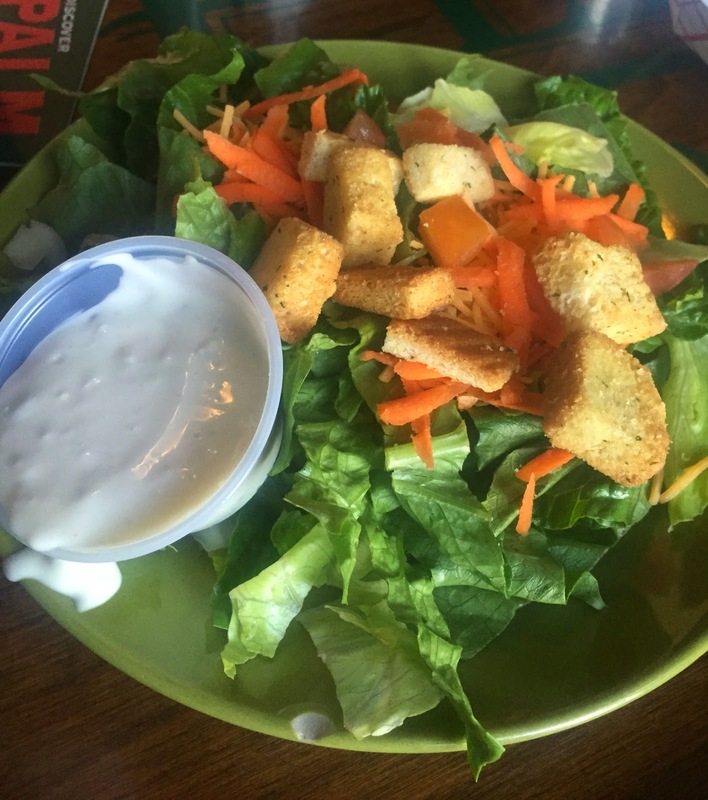 I started with a side salad - fine and dandy - plain but the ranch was good. Yum fo ranch. 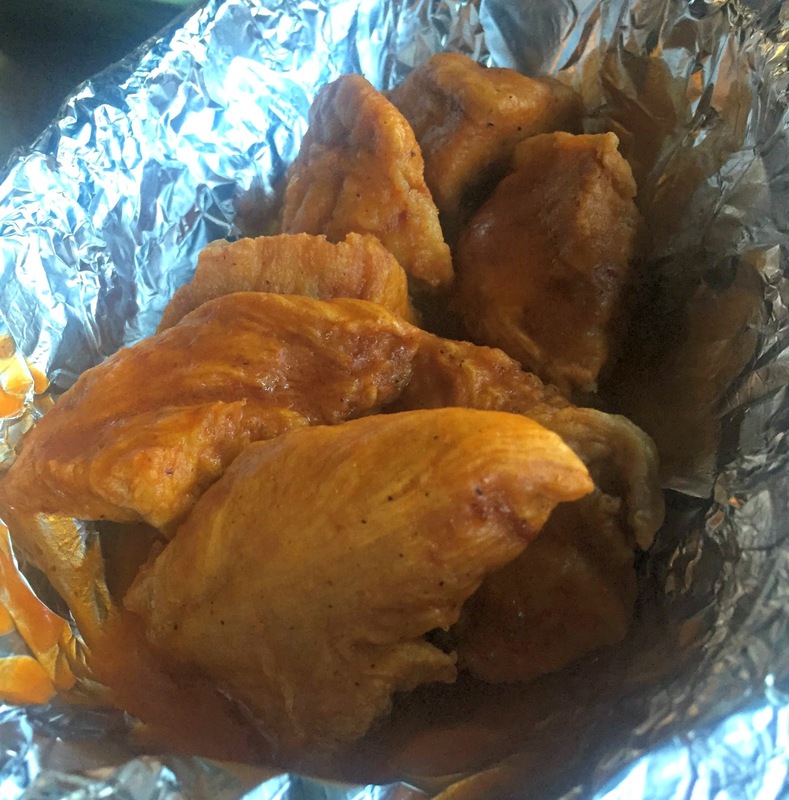 Larry got boneless wings in mild sauce - they were spicy for mild. I have to say - I don't understand unbreaded boneless wings - they're just hunks of chicken breast. But for hunks of chicken breast - they were pretty good. I got the Irish Pot Roast Sandwich with a special zingy sauce. It was really good and very filling. 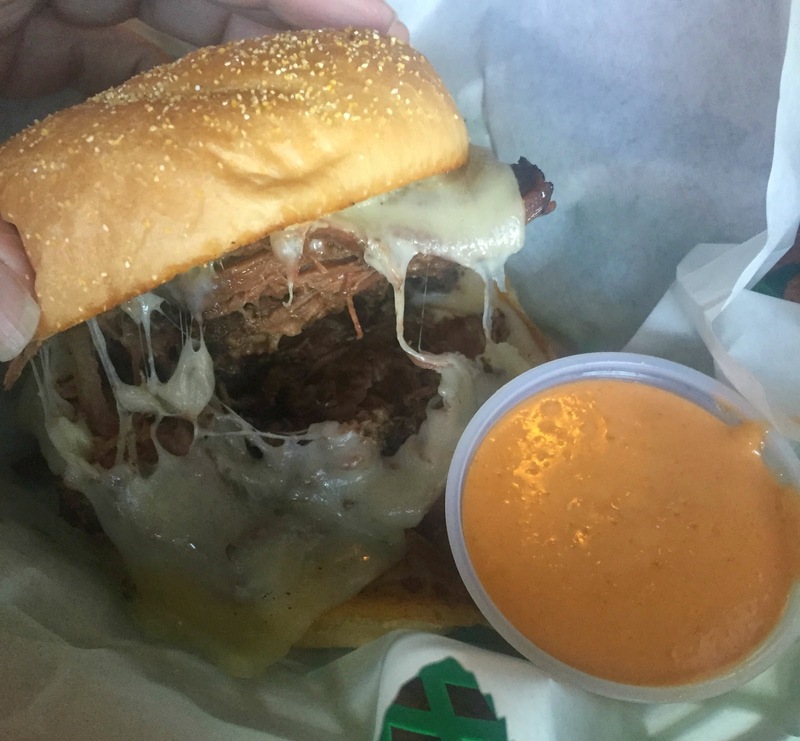 The pot roast was tender and juicy - the cheese was excellent and the sauce added a ton of flavor. Why Should You Go? Well - as an outsider - I didn't get the loud welcoming - but I did feel comfortable there. They were really busy and the service was slow - but very friendly. The wings were fine but the sandwich was really good. 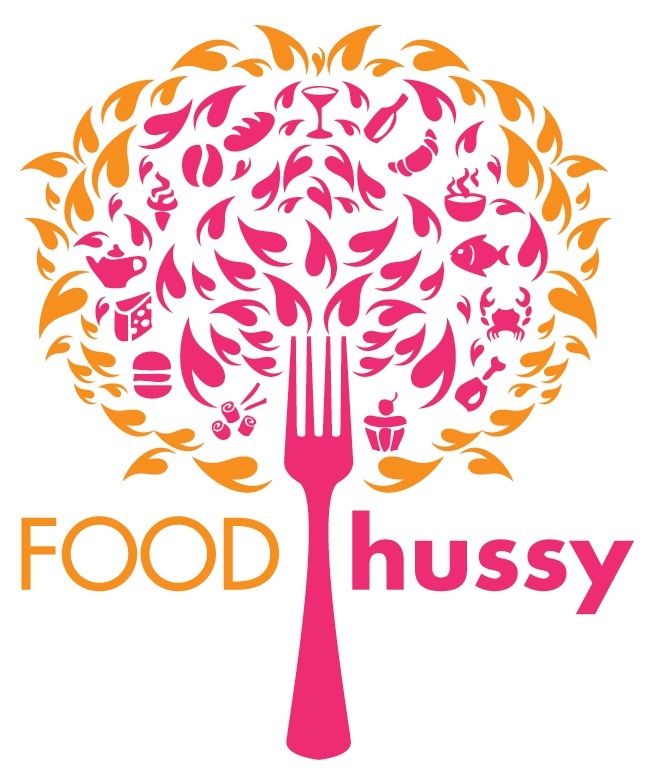 They also serve breakfast so you might check them out for that - I have a feeling it's only on weekends.